Are you a really Super Mario fan? No? It doesn’t matter. 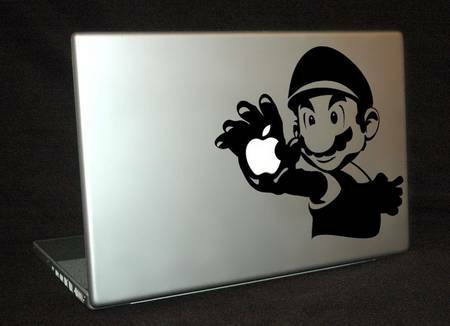 That doesn’t keep stopping you to love the sweet Super Mario decal dedicated for MacBook. The MacBook decal skillfully combines the pattern of Super Mario and the Apple LOGO placed in the middle of MacBook case, making the image like Mario holdding a bitten apple. 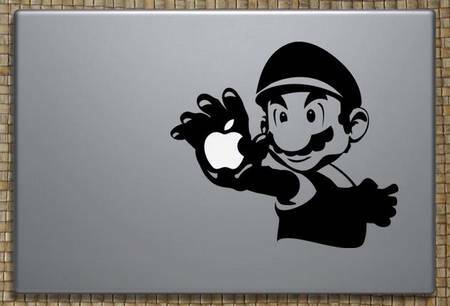 The Super Mario Decal can fit Macbook 13, 15 and 17 sizes, and is available for $14 USD at Etsy (unavailable). BTW, don’t miss the MacBook keyboard skin set and other related items by following tags.